UNA’s "Oplan Maligno" woes, an inclusion in Lonely Planet’s 2015 list, and more. 1. UNA hits Erice over "Oplan Maligno"
The United Nationalist Alliance (UNA) on Saturday lashed out at Caloocan Representative Edgar Erice, who claimed to have uncovered an opposition plan called "Oplan Maligno." Erice, a member of the Liberal Party, said the opposition had devised the plan to divert public attention from the investigation into the allegations of corruption against Binay. "Mr. Erice, stop looking at the mirror," UNA Interim President Toby Tiangco said in reference to the statement. 2. Annabelle vs. Ruffa: Mahirap bang humanap ng guy na stable? 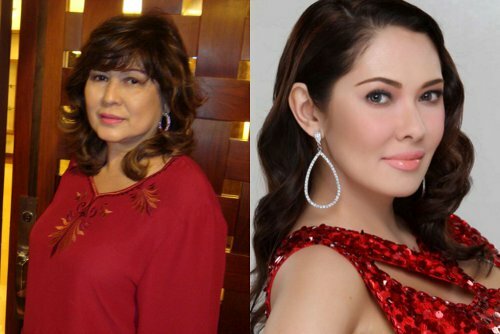 Annabelle Rama is at it again as she took to social media to slam daughter Ruffa Gutierrez and her love life. On Sunday, the Gutierrez matriarch reacted to Ruffa’s walking out during the former’s birthday party, saying, "Akala mo sa ’pag walk-out mo sa birthday dinner ko last night nasira ang gabi ko? Hindi!!! Tuloy pa rin ang saya..." She also criticized Ruffa, saying, "Since day one ’yan lagi nating pinag-aawayan, love life mo, mahirap bang humanap ng guy na stable? May degree, businessman, naghahanapbuhay?" Ruffa is reportedly dating French businessman Jordan Mouyal. Smart Communications, Inc. and Globe Telecom, Inc. will be offering Apple’s iPhone 6 for their respective postpaid plans. Both companies recently launched a pre-order page for the highly sought-after device, which was unveiled back in September. Interested users will only need to leave their names, mobile phone numbers, and email addresses. So far, no price and release date have been announced. Sadly, there will be no three-day weekend this All Saints’ Day. According to Presidential Communications Operations Office Secretary Herminio Coloma Jr., the eve of All Saints' Day is not on the list of declared regular holidays and special non-working holidays. Suspension of work would depend on the companies concerned, he added. Police found no explosives inside the University of the Philippines College of Business Administration (UP-CBA) building in Diliman, Quezon City after it got a bomb threat Monday morning. Police Inspector Noel Sublay, Quezon City Police District (QCPD) explosives ordinance division head, said the college's student council chairman received an anonymous text message from a person threatening to bomb the building. Senator Antonio Trillanes IV on Monday explained why he described Vice President Jejomar Binay as "kulay mahirap." Trillanes said he made the remark after being asked about his ocular inspection of the alleged Hacienda Binay in Batangas. "Ang nakita natin dito sa ocular visit na ito ay yung dalawang mundo ni Vice President Binay. Ang isang mundo ay ’yong nagpapanggap siya na asal mahirap, na galing siya sa mahirap, maka-mahirap, pati yung kulay niya ay sinasabi niya I am mahirap. Pero dito sa sikretong mundo niya pala, siya ay namumuhay ng karangyaan bilang hari," he said. Trillanes also warned that the Binay camp is using everything to twist the situation into a "class war" between the rich and the poor "instead of an investigation on corruption." This year, it was all about service, style, sensibility, and terrific marketing schemes. Catch up with 2014’s foodie fads before the year ends! On Monday, Malacañang defended the Bureau of Immigration’s (BI) decision to bar Marc Sueselbeck, German fiancé of slain transgender Jennifer Laude, from leaving the Philippines. At a press briefing, Presidential Spokesperson Edwin Lacierda said Immigration officials followed the proper process for foreign nationals facing charges in the country. He added that the government is giving Sueselbeck "due process to answer the allegations against him." On Sunday, the BI prevented Sueselbeck from leaving the Philippines after he and Laude’s sister climbed over a fence in Camp Aguinaldo. He has since apologized to Philippine authorities, saying he didn’t mean to disrespect them. Halloween is just around the corner! If you’re scrambling to find a last-minute costume, we’ve found everything you need, from colorful wigs down to matching shoes. Malacañang on Saturday welcomed the Philippines’ inclusion in the list of travel magazine-website Lonely Planet as one of the best countries to visit in 2015. Presidential Communications Operations Office Secretary Herminio Coloma Jr. said it is a "source of pride for the Philippines to have islands and other natural endowments." Lonely Planet ranked the Philippines eighth in the yearly "Best in Travel-Countries" list.